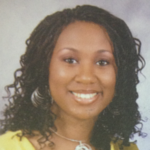 Tanyka Brown is a Certified Trainer with more than 15 years in the healthcare industry and six years teaching adult learners with experience in both traditional and virtual classroom settings, she has trained hundreds of adult learners locally and out of state. Tanyka’s passion to help others goes beyond the classroom, as she frequently volunteers her time to local food pantries as well as teaching new members classes at her church. Tanyka has attained a Bachelors in Business Administration from Bryant & Stratton College and is the founder of P.U.R.P.O.S.E. a faith based mentoring program created to educate, encourage and empower young women to achieve success in the areas of finance, health and career. Tanyka has received recognition from her students, colleagues and managers regarding her patience and ability to take complex information and make it easy to understand for various learning styles.